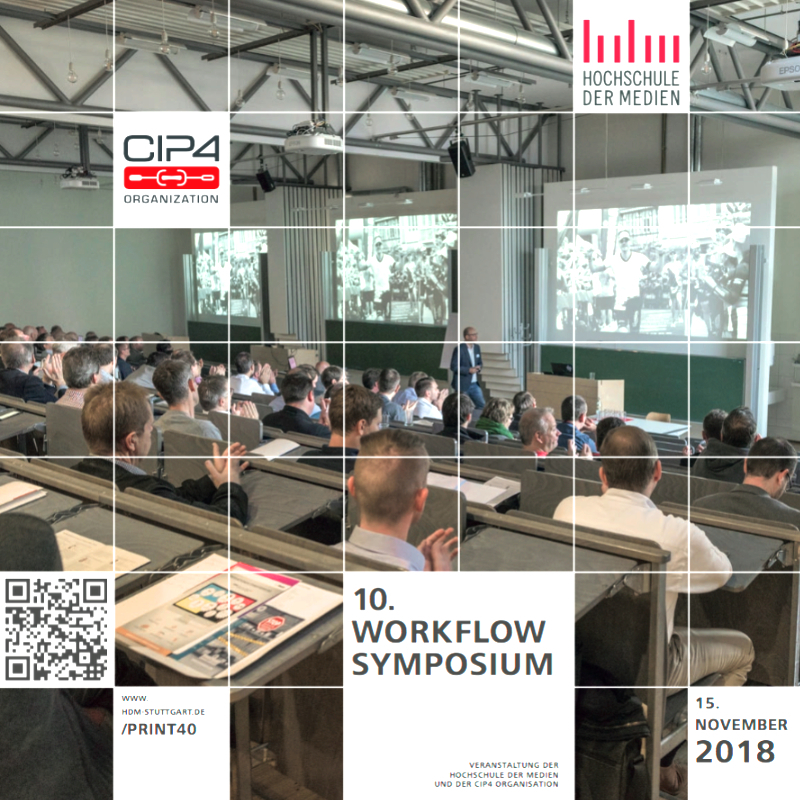 On November 15, 2018, Hochschule der Medien and CIP4 Organization are hosting the 10h Symposium on JDF, Industry 4.0 and workflow automation. CIP4 Organization is pleased to announce the availability of XJDF, an iteration of the JDF standard designed to simplify workflow automation by making it both easier to implement and far easier to validate using standard XML tools. CIP4 developed XJDF to build on learnings with the JDF standard over the past nearly two decades. The new standard will coexist with JDF 1.6, which is being released simultaneously. The parallel development of both versions offers options to industry stakeholders wishing to incorporate JDF, XJDF or both into their product offerings and/or production environments. CIP4 is pleased to announce the releases of a new version of the Job Description Format (JDF) specification. The Version 1.6 specification is now available. In addition to incorporating a number of technical enhancements and additions, this new version is backward compatible with JDF 1.5 and previous versions. CIP4 has also begun the process of creating an online Integration Matrix enabling JDF users to quickly identify vendor pairings that have already been successfully integrated, a tool that will be helpful to users seeking new solutions to integrate within an existing business and/or production workflow. On October 26, 2017, Hochschule der Medien and CIP4 Organization are hosting the 9th Symposium on JDF, Industry 4.0 and workflow automation.